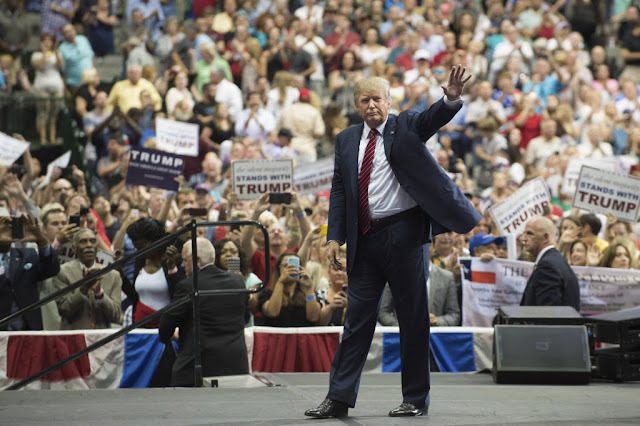 Early on the morning of November 9, news organizations all over the country projected Donald Trump as the winner of the 2016 presidential election. After nearly seventeen months of campaigning, the Republican businessman defeated former Secretary of State Hillary Clinton. Along with reclaiming the White House, Republicans also won majorities in both houses of Congress. After his unexpected victory, Trump delivered a speech in which he pledged to be president for all Americans: "To all Republicans, Democrats, and Independents across this nation, I say it is time for us to come together as one united people." He continued, "As I've said from the beginning, ours was not a campaign but rather an incredible movement comprised of Americans from all races, religions, backgrounds, and beliefs who want and expect our government to serve the people. And serve the people it will." The Lampeter-Strasburg Varsity Club is holding their second annual Sneaker Drive. Varsity Club Sneaker Drive commercial. The sneakers are Philadelphia bound for poverty stricken youth. Without sneakers, these Philadelphia students are unable to participate in gym class. Sneakers can be new or slightly used. Place your sneaker donations in a bag, write the name of the homeroom teacher on the bag and put the bag inside one of the boxes located around the school. The sneaker drive run now until Thursday, December 8. I keep fighting the fight. I’m sure will never heal. For when I’ll see you at the Golden Gate. Though never do I get a reply. Did you know that approximately 22 percent of Lampeter-Strasburg students live at or below the poverty level? 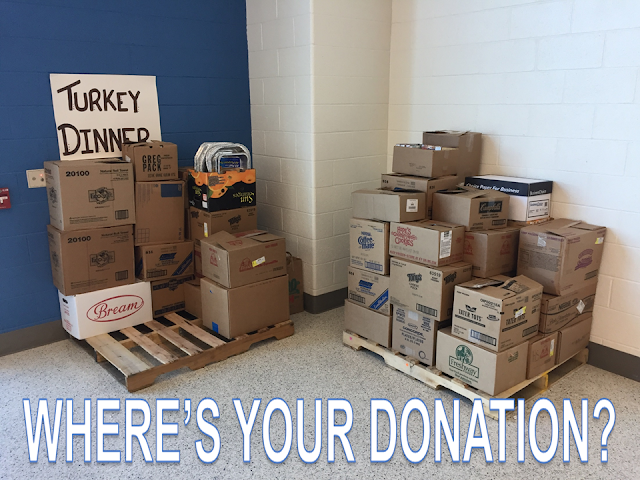 This is your opportunity to help by donating food items to student council's annual food drive which concludes tomorrow, November 18. In the past, the high school has been able to fill six pallets of food. But currently the donations are only filling two. These donated food items will directly support local families in need here in the L-S community to be distributed by local food banks at Strasburg Presbyterian Church and Lampeter United Methodist Church. Items are being collected beginning at 7:20 until 7:35 am each day in the high school cafeteria. Yesterday, Lampeter-Strasburg High School students and eighth graders had the privilege of hearing guest speaker, Marion Blumenthal Lazan, discussed her experiences during the Holocaust. As a child, she was moved to different places, including the Bergen-Belsen concentration camp. She was separated from her father and brother, so her mother was her main source of strength. Lazan explained how difficult life was in the concentration camps and how she survived. She also stressed the importance of remembering the Holocaust. 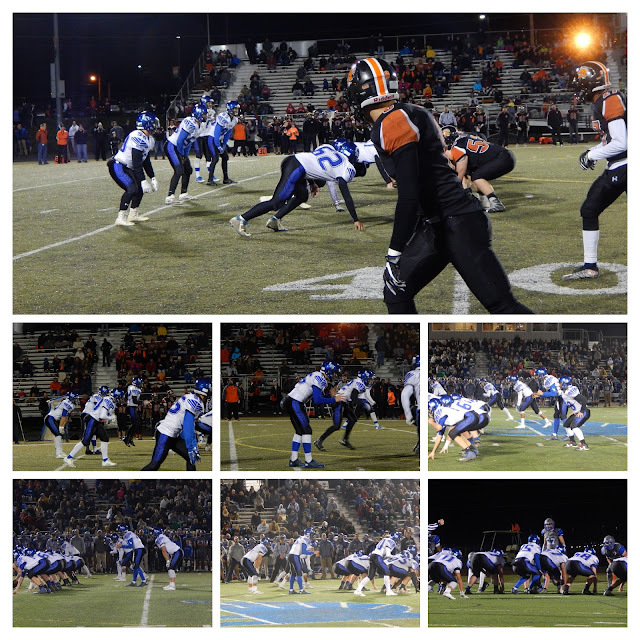 On Friday night, the Lampeter-Strasburg football team blanked York Suburban in a stunning 48-0 defeat. The victory improve the Pioneers' record to 7-4. L-S will now square off against number one seed Berks Catholic (10-1) in next week's semifinals game. See all of Maya Pieters' football pictures. Review: Arsenic and Old Lace is no dull affair! Just like any other opening night, energy was high. I happened to catch preparation for curtain call, and I heard the cast sounded off with mysterious grunts and yells, presumably of excitement. They joked and laughed with each other, almost like a family. Many of these crew members spent time working together for the entirety of their high school careers, but even the new additions seemed to fit right into the energetic group. Regrettably, before this year (my senior year), I had never seen any of the school’s productions, neither plays nor musicals. I always had “other things to do”. Now, I see how big of a mistake I had made missing out on our school’s performances. Even from the back row, every aspect of the stage, from the impeccable set to the talented cast of characters, was electrifying. On Saturday, November 19, Aevidum is planning their second annual Pancake Breakfast/5K Race for Awareness. The event is designed to promote awareness about mental health issues facing teens. Proceeds from this event go towards supporting Aevidum projects throughout the Lampeter-Strasburg School District, including helping fund Susquehanna Service Dog Maya. Maya joined the staff at the high school last month. You can read more about her here. If you are interesting in making a direct contribution for Maya's future care, contact Mr. Kristin Glass. Proceeds from the Pancake Breakfast and 5K help to support Aevidum activities and SSD Maya. Here Maya demonstrates how she can lay on a student's lap. The Pancake Breakfast runs from 8-10:30 am with the 5K run/walk starting at 8:30 am. For more information visit their event page on Facebook. You can register for the event online at www.aevidumlshs.org or download the registration form here. Last night, several Lampeter-Strasburg athletes were honored at the 2016 Lancaster-Lebanon League Cross Country Coaches Association banquet. Among those honored included cross country head coach Mrs. Mari Cunningham as Section Two Coach of the Year as the girls team went undefeated and the boys tied in Section Two play. Jasmine McClintock received several accolades this season including Section Two All Star, Scholar Athlete, Leagues medalist, and achieved an overall 17th place ranking in the entire L-L League. Kelsey Kimmel was also honored as a Section Two All Star and achieved an overall 22nd place ranking in the entire L-L League On the boys' side, Noah Pritchard was a Section Two All Star. Section Two Second Team All-Stars included Colleen Gilbert, Madeline Helm, Abby Gordley, and Alyssa Cunningham. L-S also had several scholar athletes which included Lauren Bliss, Abby Gordley, Alyssa Cunningham, McKenna Kimmel, and Nathaneal Ferrari.